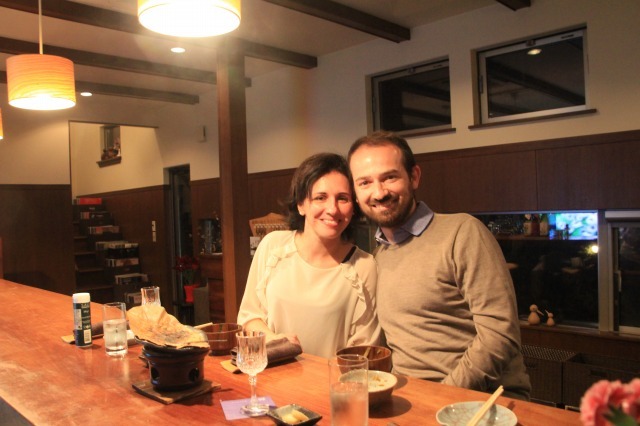 This lovely couple from Italy chose Omakase course that designed to enjoy best seasonal ingredients of Hida - Wild Vegs at this time of the year. 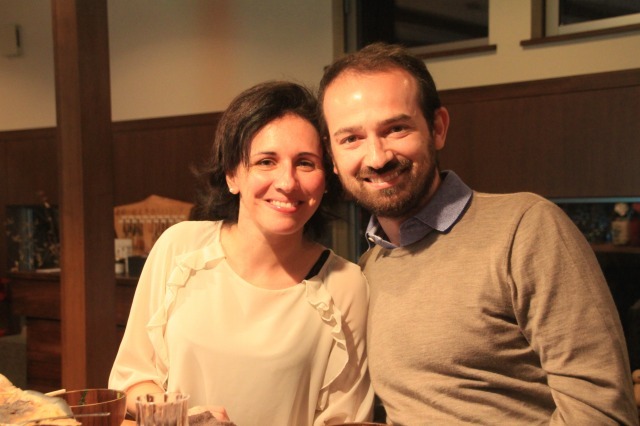 Starting with numbers of small delicacies as usual, and Hoba miso grill to finish the course. Hoba-miso grill is one of the most famous local dish in Hida area that is to grill miso and vegetables on a huge Hoba leaf (a magnolia leaf). A hint of Hoba scent comes up as it's heated, then mixed with our original miso and fresh wild vegetables cooked on the leaf. Savory fragrance will make your mouth watering. 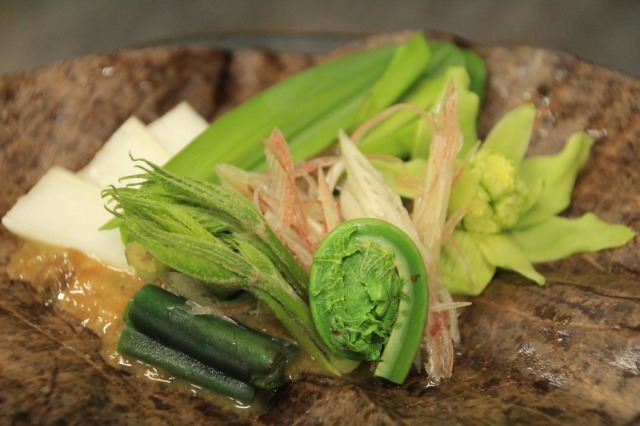 Omakase course includes variaty of wild veg as well as mini steak of Hida beef and seafood from Japan-sea. They seemed enjoyed all through the course.